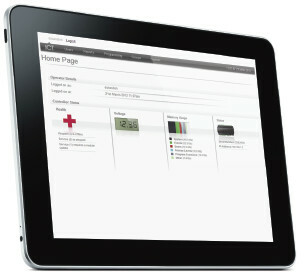 An integrated security system for access control, alarm and automation that clients can control from a web browser…. no software needed. An easy to operate, intuitive security system that means business. With a built in web browser and a network connection, you can control the system from anywhere using a web browser or mobile app. Powered by the robust Protege WX the system can be programmed and functional very quickly. No software = No complications. Say farewell to the typical constraints associated with software. A built-in web server means there is no software to install, making deployment quick, simple and straightforward. No more issues with compatibility, lost DVDs, or licensing and connection limits. So clever. Just open the box: 1, 2, 3… Protege WX is an out-of-the-box, all-in-one system that is quick to setup and intuitive to use. Simply unpack the box, connect the Controller and Power Supply, and launch your web browser. The wizard-driven interface guides you through the process to configure your system, giving you a fully functional access control and intrusion detection solution within a fraction of the time of conventional software. Too easy. Here. There. Anywhere. No more dusty old desktop PC hidden away in a maintenance closet and providing a warm place for spiders to nest. The web-based interface gives you the flexibility to work from anywhere – the office, from home, or on the road. All you need is an internet connection and you have anywhere, anytime ease of access to your sites. That’s flexible. Data Security: Secure encryption algorithms and the latest HTML5 web standards ensure your data is locked safely away onboard the Controller. Optional encrypted backup files can be kept offsite or in the cloud. Open Standards: Open standards ensure you are not locked out of your data. Integrate with third party products such as SALLIS, Aperio and Savant, or have your own developers use the Automation and Control protocol to create a custom integration. Easy Updates: Updates are a breeze to apply. Simply upload the update file then follow the onscreen instructions. Even our expansion modules can be updated using this same simple process. secOnsite Hardware: The modular hardware design allows you to scale your system as your requirements change. Start with the controller or choose one of the cost-effective starter kits, then add optional accessories as and when you need them. The controller is backwards compatible with all Protege expander modules and accessories meaning you can move to Protege WX without having to replace your existing hardware. Integrated security system for an organisation with a large campus or multiple sites, where you need the system to be controlled on your network. secServer is powered by Protege GX, an enterprise grade access control, intruder detection and building automation system from Integrated Control Technology. At the core of the system is an intuitive and sophisticated software system that can communicate with multiple control modules making the system infinitely scalable. Each controller has an IP network connection so you can run multiple controllers on a single local area network or across a wide area network around the city, country or globe. Many multinational companies are running security, access control and building automation on the Protege GX platform. Floor Plans: Graphical floor plans provide a visual representation of your site and are a quick and efficient way to control and monitor your Protege system. You can quickly arm and disarm areas, control doors and outputs, and view input status and live variable information. Status Pages: Fully customisable, status pages provide an intuitive graphical interface that minimises the learning curve allowing new users to get up to speed quickly. The flexible design enables you to include the content relevant to your site, for a statewide overview or allowing you to drill down into more detail. Targeted Information: Customizable alarm and event filters enable you to sort and filter what and how information is displayed to an operator. Filtering the noise and showing only what is relevant improves efficiency and ensures an accurate response to incidents. Reports Made Accessible: Getting the information you need has never been easier or more accessible. With a comprehensive range of built in reports and the ability to create an unlimited number of custom reports, ProtegeGX offers a commanding range of reporting capabilities, and you can even generate reports automatically at scheduled times and have them sent to a defined user via email. You would consider using secServer where you want the security platform on your network behind a corporate firewall. If your network security policies are rigorous then secServer will suit your organisation. Integration is at the heart of the secServer platform. DVR/NVR Systems: Combine the power of Protege GX with third party DVR/NVR systems to create a full featured and cohesive solution. Seamless integration enables you to control cameras, and view live and historical video footage from a single easy to use interface. Wireless and Offline Locking Solutions: Expand your existing access control system without the limitations, cost, and inconvenience normally associated with hard wired doors by integrating your Protege system with a wireless and offline locking solution. Building Management Systems: Access Control systems carry a lot of information about your building and its occupancy. Combine this with a Building Management System (BMS) to create a smart building that can make some very intelligent decisions. Intercom Systems: Integrating an intercom system with access and security, provides a cohesive solution that ensures the protection of the site. With the use of an intercom, you can see or hear who is at your door before deciding to let them in, increasing security and improving communication. Elevator Systems: Protege GX is not limited to controlling access to doors. Buildings that have elevators often require access to floors to be controlled as well. Elevator integration links elevator control systems with ICT’s Protege system to increase building security and improve the flow of people. Data Sync Service: Combine the power of enterprise level integrated access control with external data sources. The ability to synchronize data between the systems, reduces management time and administration while providing single data entry and enhancing efficiency. Custom Integration Tools: But we don’t stop at off the shelf solutions. While we’ve invested a lot of resources into ensuring you don’t need to reinvent the wheel, there may be times when you want to upgrade those tyres. Our custom integration tools give you the freedom to utilize your own experts to tailor a solution that meets your exact needs. Flexible System Architecture: The server based architecture makes ProtegeGX a truly global system, enabling you to securely manage, control and monitor an unlimited number of users, doors, areas, and other devices, in real time regardless of geographical location. A centralized database improves efficiency and keeps your valuable sensitive data secure – not tucked away on a laptop in the back of a company vehicle.